Robert Cray is an influential American blues guitarist and singer, who recorded several charting songs, like “Right Next Door (Because of Me)” and “Don’t Be Afraid of the Dark”. During his 40+ years career he released about 20 albums and bridged the lunes between, blues, R&B and soul. 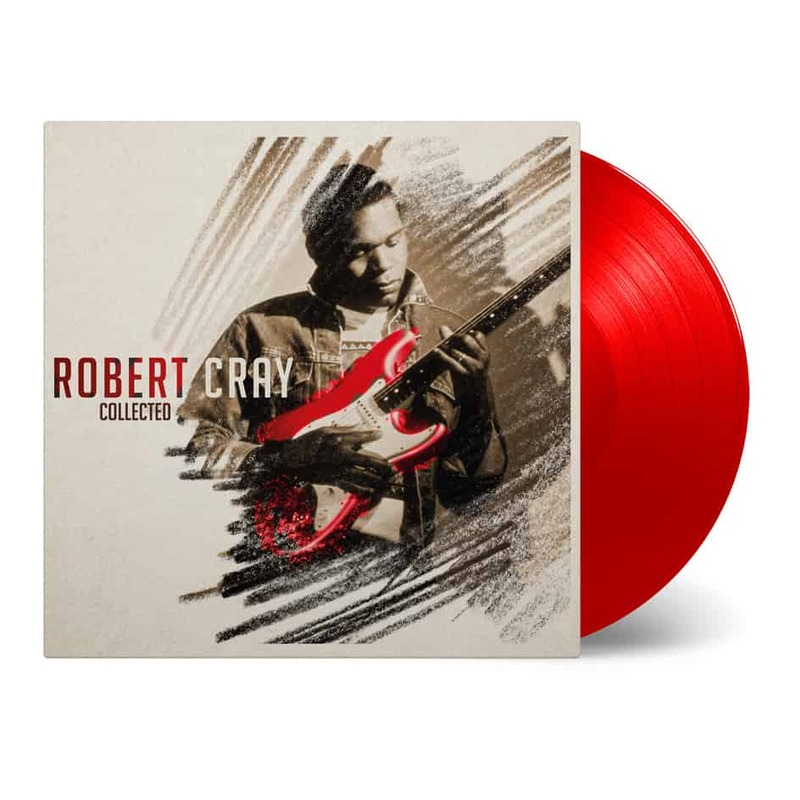 Robert Cray Collected consists of 23 songs, starting in 1980 with the song “Too Many Cooks” and ending with his 2017 released “The Same Love That Made Me Laugh”. Growing up in the northwest, Robert Cray listened to the gospel of the five blind boys of Mississippi, Bobby Bland’s soul, Jimi Hendrix’s rock guitar and the Beatles pop sounds. He would bring all of the influences into play throughout his career, but his teenage band was captivated by southern soul and the blues. The glow of a career in music began when Cray was a teen, and in 1974 it burst into flames as the Robert Cray band came together in Eugene, Oregon. In the mid-80s he was building on a reputation as a live artist, followed by the release of his fourth album, Strong Persuader. The album received a Grammy Award and the first single “Strong Persuader” became his most successful hit. During the years he worked together with some of music’s greatest, like Chuck Berry, Tina Turner, BB King and Eric Clapton. All these collaborations are included on the second LP.